Description: Jane has lived in the unhappy house at 60 Gay Street with her adored mother and mean spirited grandmother for as long as she can remember. She has spent most of her life feeling stupid and clumsy, being compared unfavorably to her cousin and believing her father is dead. That belief gets a nasty shake when a classmate teases her that Jane's parents don't live together and its all Jane's fault. 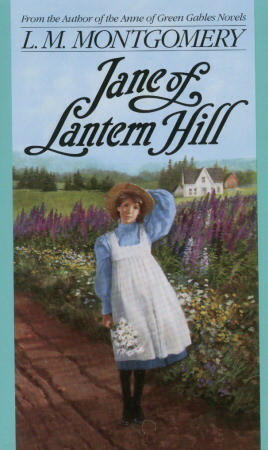 Then one day summons come from her father for Jane to spend the summer with him on Prince Edward Island. 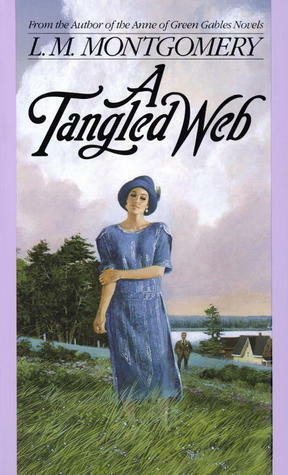 My Impression: This is one of Montgomery's classic stories where a girl finds her confidence and comes into her own. The main difference between this and many of Montgomery's other stories is that Jane not only comes from a family of status and means but is very much loved by both her parents. Jane is a nice bright girl with a very practical way of thinking. She isn't given to massive flights of fancy or spending much time living in an imaginary world. Out of all Montgomery's lead characters Jane is the one I'd most like to have as a friend (though Gilbert runs a very close second). 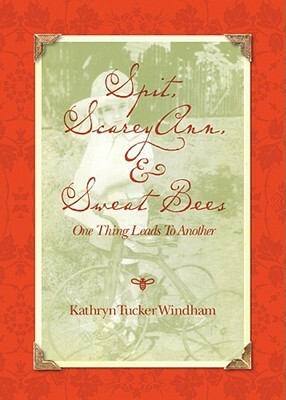 Description: This is a short, prettily bound book that focuses on the superstitions that surrounded Kathryn Tucker Windham as she was growing up in a small Alabama town in the 1920s and 30s. My Impression: I love Windham's books and this is no exception. Reading this is a bit like sitting with my grandmother as she tells stories about her childhood. Not sure how this would translate to people who didn't grow up in the south but for those that did there's a magical quality. I was very excited to find a copy of this in a local bookstore and even more pleased that it contained mostly new to me stories and pictures. Description: When Jerry, the son of Chief Inspector Challenor, gives a pretty girl a ride home he doesn't expect much to come of it. However, shortly after dropping the girl off he and his father end up back at the girl's home investigating a murder. It'd be easier to list the people who didn't want to kill the murdered man then those who don't but Chief Inspector Challenor struggles on to find out what happened. My Impression: The best I can say about this book was that I didn't dislike it. It didn't particularly interest me but it wasn't a chore to read. It helped that it was short. Unfortunately, I found this book completely forgettable. Would I Read More of this Series/Author? : I may try one of her Campion books but I'm not hunting one up anytime soon. Description: A little while after writing The Happiness Project Gretchen Rubin was hit with a wave of homesickness in her own home. She spent the next 9 months trying to make her home more homey. My Impression: Ehh. I got a lot out of The Happiness Project so I was really looking forward to reading about her next project. I was pretty disappointed by this one though. I found the first 3 chapters useful but after that it was kind of same old same old. This book felt like kind of a stretch - like the publisher was pushing for a new book so this was thrown together when there really wasn't enough new information. Would I Read More of this Series/Author? : Yes though I'll probably wait until I could get it from the library. 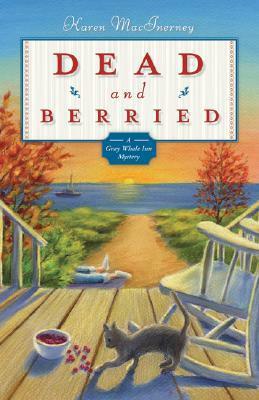 Description: Natalie has enough on her plate running her inn on Cranberry Island in Maine without an annoying guest, a disappearing housekeeper, a collection of cats, a reappearing ex-fiance, a falling out with her best friend and a murdered minister. Can she keep her relationship with John afloat, figure out what happened to Polly, keep her annoying guest from running her out of business and keep Charlene from being arrested for murder? My Impression: There are aspects of this book I liked. Natalie is nice and doesn't make to stupid to live choices, the atmosphere of the island and the food seem amazing. The small subplot involving the history of the inn and a potential ghost were right up my alley but it was a little random and seemed like just extra filler for the book. Natalie desperately needs to find a new friend. Charlene is just an awful person and flat out mean to her. She's definitely not someone to be counted on when things go wrong for Natalie yet expects Natalie to save the day when things go wrong for Charlene. There was also a lot of clutter in the book. There was a lot of time taken up with Candy and Benjamin but nothing came of it except for a lot of wasted energy. As for the ending I was surprised but I wasn't satisfied. The end seemed kind of hectic and last minute. Would I Read More of this Series/Author? : Possibly, I have 3 in book form and 4 on the kindle but I probably wouldn't seek them out. 2 Stars: A book where the flaws overwhelm the positive but there are still some positives about it. It's a book that I didn't hate but spent a lot of time being annoyed with it. A 2 star rating doesn't mean I won't read another book by that author but the author is probably only getting 1 more chance from me. Examples of 2 star books are Mary Poppins by P.L. Travers - one of the few books where I felt that the movie was way better than the book but was still somewhat entertaining - and How to Moon a Cat by Rebecca M. Hale - which is a series that intrigues me but ended up being a messy over-complicated overpopulated book. 3 Stars: This is a book that I enjoyed but didn't really stand out making for a pretty forgettable book. Or a book that I really enjoyed but had a handful of annoyances or pet peeves that spoiled parts of the book. An example of the forgettable book would be Brownies and Broomsticks by Bailey Cates. This was a fun book that I enjoyed reading but I only have a vague memory of the plot. An example of the pet peeve book would be Sacred Sins by Nora Roberts. There was a lot about the book I really loved but Ben was such a jerk it dropped this down to 3 stars. 4 Stars: This is a little harder to explain and is another category with 2 reasons for getting there. The first is a book that I really really enjoyed but just doesn't call out to be reread or is a little light weight or fluffy feeling. Pretty much any of Jennie Bentley, Sheila Connolly or Nora Roberts books fall into this category. I always wait anxiously for a new one and thoroughly enjoy them while reading them but am never motivated to keep them. The second reason is a book I would really consider a perfect book except for 1 aspect that either spoils it a little or doesn't fit. 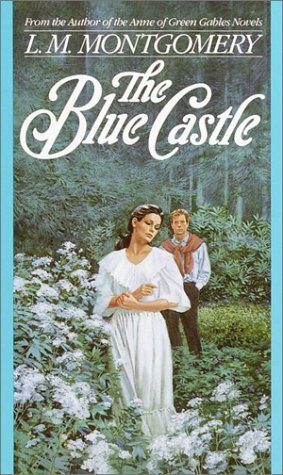 Dream Lake by Lisa Kleypas and When Beauty Tamed the Beast were books I absolutely loved but had endings that ended up letting me go a little cold on them. 5 Stars: This one's pretty easy. This is a book I absolutely love and could either reread on a regular basis or are books that are deeply moving. Most of L.M. Montgomery, Kathryn Tucker Windham and Elizabeth Enright books fall into this category for me as does The Hiding Place by Corrie Ten Boom. There are a handful of "Keeper Shelf" romances on this list like Devil in Winter by Lisa Kleypas, Three Fates by Nora Roberts and The Secret Diary of Miss Miranda Cheever. There are also a few Agatha Christies and the occasional food based book. There are also books that I don't necessarily want to reread but could discuss enthusiastically at any given moment like The Hunger Games, Harry Potter and the Sorcerer's Stone and The Happiness Project by Gretchen Rubin. Description: Over the years 60 Darks have married 60 Penhallows leaving a confusing web of Penhallow and Dark families. The family matriarch, Aunt Becky calls the mass of Penhallows and Darks together for one last gathering before her death to hand out her worldly possessions including the famous family heirloom the Dark jug. During the party she announces embarrassing past incidents that most of the family would rather be forgotten and has her usual too truthful sharp observations but the biggest bombshell of all is that ownership of the Dark jug won't be revealed until a year after her death. This book is the story of that year. Relationships are altered irrevocably either for better or worse and the whole family waits for the year to be up. My Impression: This book has a massive character list and it could have easily gotten extremely confusing. Luckily, Montgomery draws each of the characters strongly enough that they are memorable and also sticks to a main core group. This is one of the few books that doesn't center around a child. In fact, with the exception of Brian Dark I can't think of any child that is an actual character. Some children are mentioned but are never seen. This is a fun book and a quick read. The ending was handled very entertainingly. It is really a collection of woven together short stories but never feels disconnected or disjointed. Would I Recommend this Book? : Yes. This would be a good Montgomery book for those that like children's lit but aren't Montgomery fans. There aren't the speeches that some people find tedious and there's a lot more doing than talking/thinking. Description: Alex Nolan is the youngest of the four Nolan siblings and also the most messed up. With a failed marriage, a struggling business and a growing drinking problem the last thing he needs is to start seeing a ghost. The ghost isn't exactly thrilled to be stuck watching Alex drink himself to death but since Alex is the only one who can see or hear him the ghost has to work with what he's got. Zoe has lost a lot but still hopes to find that special someone to share her life with. When she needs help renovating a cottage to move her grandmother into she is sent to Alex. As the two of them sort through their lives and feelings for each other could they also be the link to helping the ghost figure out his past? My Impression: Ever since the first book in this series I was looking forward to Alex's story. I loved Zoe when she showed up in book 2. Throw in the ghost story and the renovation of old houses (which for some reason is a big thing for me) and I could barely wait to start this one. This book didn't disappoint. I loved Alex and the ghost and enjoyed their relationship. Zoe was so sweet and so nice it's impossible not to root for her. I liked how Alex's drinking problem was handled and I was glad it wasn't too easy. I felt that their relationship built realistically and their happily ever after is believable. Alex was drowning and Zoe was his rock but she needs him as much as he needs her. The only reason this isn't a 5 star book for me is that the ending got a bit weird and felt to contrived like it was a way to wrap it up quickly. Would I Read More of this Series/Author? : Yes on both though I'm not quite as motivated to read the 4th book of this series. Witchcraft and curses don't do quite as much for me as ghost stories and renovating old houses. Would I Recommend this Book? : Yes. Description: Valancy has lived her entire 29 years trying to please everyone and succeeding in pleasing no one. When a doctor gives her maybe a year left to live she decides its time to please the one person she's never thought about - herself. 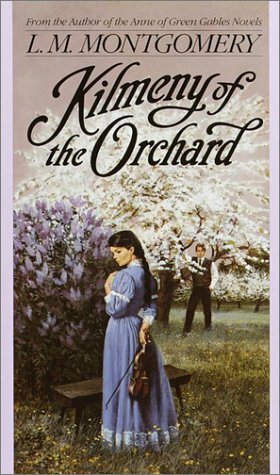 My Impression: This is one of my favorite of Montgomery's standalone books but I didn't actually discover this one until I was an adult. I love how things work out for Valancy and how her personality develops as she does what she wants. Since her actions consist of moving in to help take care of a school friend who has fallen on hard times she remains likable and easy to cheer for. Also, watching her extended family try and figure out what to do and how to react is pretty funny. This is a fun story where the good win and the bad end up looking foolish. Would I Read More of this Series/Author? : Yes! Would I Recommend this Book? : Of course! Description: Lucy thinks her life is going pretty well. She has a successful career that she loves as a glass artist and her relationship with live in boyfriend Kevin seems to be coasting along. That is until Kevin comes in and announces that their relationship is over. To make matters worse it's over because he has found someone else and to make things unbearable that someone else is Lucy's sister Alice. Alice and Lucy's parents are furious at this betrayal and refuse to pay for a wedding until Alice makes peace with Lucy. Kevin seeks out former highschool classmate Sam Nolan and convinces him to take Lucy out a time or two. My Impression: I adored the first book in the series but I was a little hesitant about starting this one because on the surface it looks like it uses one of my least favorite plot devices - the secret. The way the secret usually works is two people are put together for some kind of contrived reason - spying, revenge, etc - then they actually get along and fall in love. Then person who is having the secret kept from them discovers secret, usually from some kind of enemy. After that is a big fight, sense of betrayal, tears and the inevitable breakup. Things usually do work out in the end but I still don't like it. However, when Sam was upfront with Lucy at the beginning I wanted to reach into the pages and kiss him. I loved both Sam and Lucy. They were honest with each other about who they were and what they wanted. I loved that Lucy decided that she wasn't going to try to change him and stuck to it and even made plans for her future that didn't include him. I loved the ending. This is the story of two people with some past scars who love each other for who they truly are and don't want to change the other. The only thing I didn't like about the book is the magic. It seemed a bit random and completely unnecessary to the story. 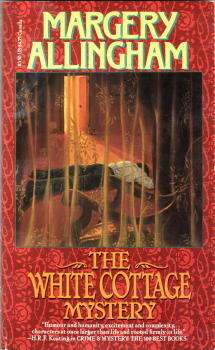 I understand that there is a ghost in book 3 so maybe Kleypas wants to run a supernatural theme through the whole series but this book just didn't need it and to me it ended up being distracting. Would I Read More of this Series/Author? : Without question. Kleypas is one of my favorite historical romance authors and I have loved both books in this series. I can't wait to read the 3rd. Would I Recommend this Book? : Yes definitely. 6. 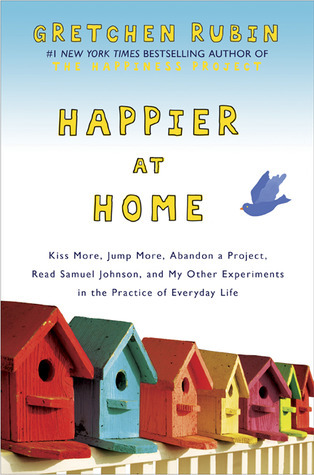 Happier at Home by Gretchen Rubin (library loan) - I read The Happiness Project last month and while Rubin isn't my favorite person I did get a lot out of the book. 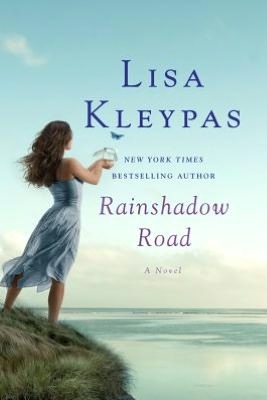 I have #s 3 and 4 of the Kleypas series so if I enjoy Rainshadow Road at least one of those may make an appearance. I got 2 out of 5 Montgomery books read, 0 library books and kindle books read and only 5 out of 8 free spaces filled. 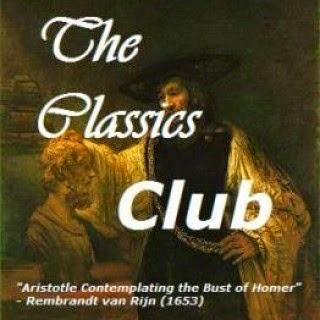 Without question An Unsuitable Job for a Woman by P.D. James. I really disliked the characters, the pacing and the actual mystery. House of Many Shadows by Barbara Michaels and Miss Silver Comes to Stay by Patricia Wentworth are old favorites and always enjoyable. However, the book I got the most out of was The Happiness Project by Gretchen Rubin. While I don't generally enjoy self-help books and Rubin's personality didn't really make me want to be friends with her I did get a lot out of the book. J and I have been talking a lot about kind of doing are own happiness project and making fun more of a priority (or at least having it make an appearance on the priority list). Talking about it and thinking about it has made me happier so far and has made life a bit more fun lately. Now I have to go watch 8 seasons of How I Met Your Mother so I have some hope of getting some reading down in October. Description: Golden boy Eric Marshall does a favor for a friend after he graduates college by taking over the friend's school in a tiny town on Prince Edward Island. While there he meets a girl that throws his whole charmed existence on its ear. Kilmeny is a beautiful talented girl who has lived a very sheltered life to hid both the stain of her birth and the fact that she cannot speak. Can the educated rich boy and the poor sheltered girl find a future together? My Impression: This is Montgomery's shortest stand alone novel and it isn't terribly developed. Eric is handsome, rich and charming. Kilmeny is beautiful, plays the violin and isn't able to speak. The characters aren't really drawn much deeper than that. I like Eric - everyone likes Eric - and the family he rents his room from. The Gordon's are also an interesting family. I felt that the "stain" surrounding Kilmeny's mother and Kilmeny's birth was actually fairly realistic. The emotions that came from it were appropriate for the situation. However, the romantic relationship between Kilmeny and Eric was a little creepy. Kilmeny is so sheltered and such a child that her becoming romantically involved with Eric just a bit wrong. This is a very simple story with a small list of characters and the time period stretches out over several months. This is probably my least favorite of the stand alone novels but it is still a fun lightweight read. Would I Read More of this Series/Author? : Yes, obviously. Would I Recommend this Book? : Not over Montgomery's other books.